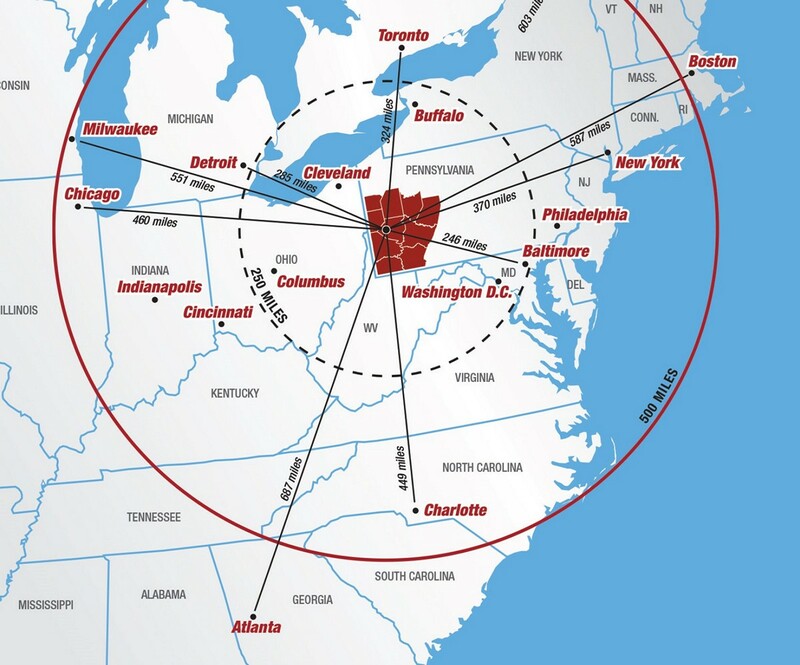 Customers: More than More than 2/3 of U.S. & Canadian PE & PP demand is located within 700 miles. Feed Stock: Natural gas drilling produces Ethane, which is the building block for the plastics industry. Pittsburgh Sits atop the Marcellus Shale which is already one of the largest reservoirs of natural gas in the world. The Utica Shale, which underlies the Marcellus, is only recently starting to be tapped, and is looking, by itself, to be the largest natural gas reservoir in the world. Crackers: Shell is half way done with the construction a new $6 billion dollar cracker plant seven miles from our facility. When completed, the Shell facility will produce 3.5 billion pounds of annual polyethylene resin feed stock. Two more crackers are lining up in the region. Technology: 2 of the U.S.’s 6 accredited plastics degree programs are in the region as well as the top ranked robotic engineering school. 35 other colleges & universities provide substantial operations talent. Transportation infrastructure: A residual feature of our historic steel industry, 3 rivers, 3 Class 1 railroads and interstate connections make our infrastructure hard to beat. Ready to Move-In: We have existing Manufacturing and Warehouse Space between 2,000 sf and over 100,000 sf ready to move into now. We can also build you a new facility to your specifications.